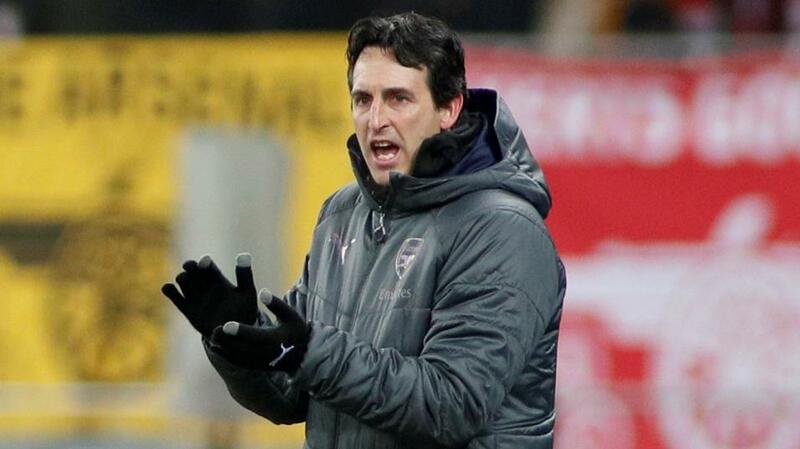 Will Unai Emery be applauding after Arsenal's match with Huddersfield? Arsenal can move back into the top four with a win over Huddersfield. Opta rates their chances. "Huddersfield have lost eight of their last nine top-flight matches against Arsenal (W1), failing to score in each defeat." Arsenal are [2.2] to win to nil. Arsenal won both Premier League meetings with Huddersfield Town last season (5-0 at home, 1-0 away) and are unbeaten in 10 games against them in all competitions (W8 D2). The Gunners are [1.3] to win. Huddersfield have lost eight of their last nine top-flight matches against Arsenal (W1), failing to score in each defeat. Arsenal are [2.2] to win to nil. Arsenal are now 20 games unbeaten in all competitions (W15 D5 L0); their longest run without a defeat since November 2007 (28 unbeaten). They are [1.83] to win half-time/full-time. Huddersfield have collected just two points in their seven away Premier League matches against the 'big six' clubs (W0 D2 L5), scoring just twice in those seven games. The draw half-time/Arsenal full-time is [4.5]. Since winning 3-0 away at Crystal Palace in their first ever Premier League match, Huddersfield have failed to win any of their subsequent four league visits to London (W0 D1 L3). The draw is [6.4]. Arsenal have lost just two of their last 19 Premier League home games (W13 D4 L2), with both of those defeats coming against Manchester City. They are [2.7] to win both halves. Although Huddersfield have only won one of their last 10 away games in the Premier League (D5 L4), they've not lost back-to-back games on the road in the competition since March. Huddersfield are [4.2] to avoid defeat in the Double Chance market. Arsenal haven't led any of their 15 Premier League games at half-time this season (drawing 11, losing four). The half-time draw is [2.8]. In Arsenal's 5-0 win over Huddersfield in the Premier League at the Emirates last season, Mesut Özil had a hand in three goals, scoring once and assisting twice. Ozil is [3.0] to score.